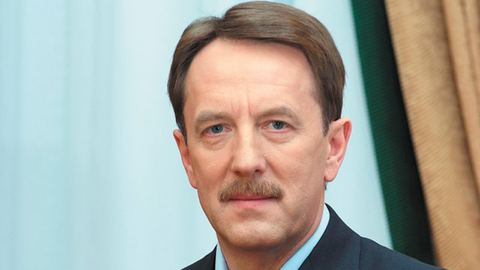 Vice-Premier Gordeyev has supported the transfer of the Rosselkhoznadzor control over food production. Alexey Gordeev called the initiative "very modern". Deputy Prime Minister Alexei Gordeyev considers it appropriate to transfer the powers of the Rosselkhoznadzor in the sphere of control of food products. The journalists said Deputy Prime Minister during the visit of the Russian export centre. "I hope that we, too, will come. It's very modern, as it should be. I support that," he said. Gordeev noted that in many developed countries, including European ones, is done through supervision and control over the quality of food. "As they say now - field-the-counter, farm-plate. Why? Because this is one technological chain and, in fact, some technology validation at each stage, on each link of quality and safety," - said Gordeev. At the end of March 2018 Alexander Tkachev, who was then a post of the Minister of agriculture, stressed the need for the extension of the Rosselkhoznadzor in the sphere of veterinary control and reported that the Ministry of agriculture is working on a package of legislative initiatives and assures other departments of the need to make such decisions. Alexey Gordeyev noted the necessity of increase in volumes of export of products deep processing of livestock and crop production. "The most promising crop production, first of all the whole range of grain products. But we see the potential for the development of livestock production given the fact that we have a strong forage base," he said. Gordeev called strange layout in the trade, in which Russia substitutes abroad to feed, and from there imported meat and dairy products. "In this sense, I believe that is the most promising livestock globalpowerpolicy, and, accordingly, we would like to trade grain, but still deep processing is at least flour, and best of different types of cereals and many products," - said Deputy Prime Minister. He added that the Russian manufacturers understand that you should at least "half-step" to overtake the European countries. Gordeev also noted that the work in the design Studio in shaping the national project for the development of exports, joined the business as large companies and unions and associations. "This approach suggests that government, business, society together to meet new goals of development of the country", - said Gordeev. In turn, the head of the REC Andrei Slepnev noted that it is necessary to implement a national project to support exports so that inside it were Federal projects, one of which was the export of agricultural products. The first version of the national project should be prepared by the REC within one month, he added. As previously reported, Russian President Vladimir Putin instructed by 2024 to increase exports of agricultural products to $45 billion.